Pinca is a traditional Croatian Easter Bread. It is also called Sirinica or Pinza. Pinca is eaten to celebrate the end of Lent, because it contains many eggs. Together with Easter Eggs, pinca has remained the centrepiece of the family Easter breakfast in areas where it is eaten. In urban areas it is increasingly the only item taken to Easter Mass for blessing,and is often given to guests as a symbol of good wishes. These sweet buns are a nice bright yellow due to the yolks and butter and smell absolutely delicious. Warm the milk. Add the sugar and yeast. Set aside for 10 minutes until foamy. In the bowl of a stand mixer, add the flour and softened butter. Beat on low speed until combined. In a small bowl beat the egg yolks and vanilla extract. In another bowl combine the sugar and zest. Add this to the flour mixture and mix on low. Then add the yeast mixture and the egg yolks-vanilla mix. Beat until just combined. Switch to the dough hook and knead of medium low speed for 7-8 minutes until the dough leaves the sides of the bowl. Transfer to a bowl and cover. Set in a warm place and allow the dough to double in size, at least 1.5 hours to 2 hours. 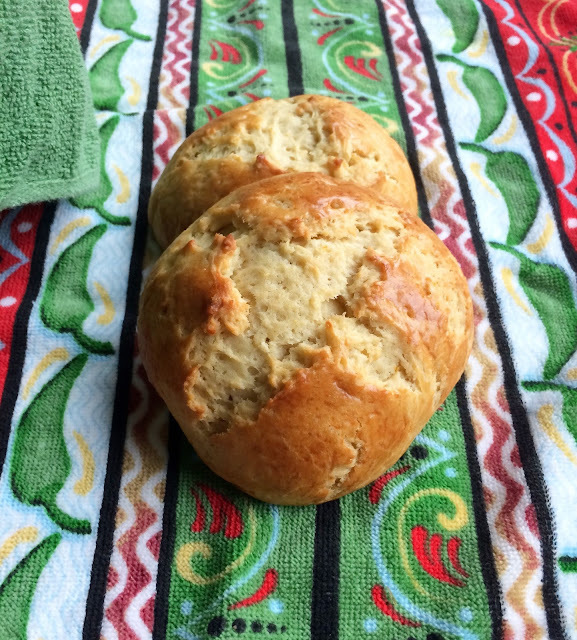 Once doubled, divide dough into 4 quarters and shape each into a bun. Place on a baking sheet lined with parchment paper. Cover and let rise for another hour. Preheat oven to 350F. Brush the tops of the buns with the beaten egg. Slash the tops with a sharp knife to form a cross. Bake for 20 minutes until golden brown and a skewer inserted in the bun comes out clean. Transfer to cooling rack. 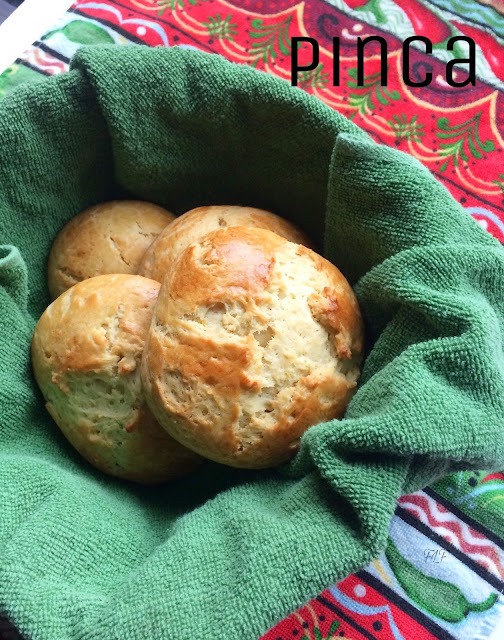 Pinca looks gorgeous with beautiful crust, am bookmarking this beautiful Easter bread. You nailed them prefectly. Pinca looks fantastic....can imagine how Romatic and tasty it would have been with all that citrus flavour. Bookmarking this! Wow! Love the citrusy flavors in there. Looks beautiful too. Nice to know the history behind this easter bread. I started reading more about lent and easter..
Wow those eater breads look amazing, love that texture on the top Nams..what a great find! Beautiful Easter treat, looks gorgeous and the flavors are absolutely stunning. Crusty on the outside, soft and fluffy inside -- those Easter buns look amazing. The bread looks so rustic . Must have tasted awesome. Nice buns. Would be ideal for picnics and travels. Loved the texture. The outer crust of the bread is fantastic.. Wish i had some! !